With an ever increasing number of buyers now beginning their search for a property online, it has become more important than ever for brokers and agents to take full advantage of online marketing capabilities. Placester is making that process easier by providing low-cost real estate website. The company recently announced it has expanded its service menu even further following a $15 million funding round. According to Placester, which first began offering search websites to agents for $10 or less per month, the firm will now be selling single-property websites for the purposes of marketing individual listings. Features of the new service will include photos that can be imported from MLS, a mortgage calculator, social media share widgets, schools map, address location map, an open house schedule, a button that will allow users to schedule a showing. Real estate professionals can also take advantage of the opportunity to customize the look of the website. For instance, using the admin panel, agents and brokers can change styles and colors, add custom logos, and make changes to the text of a property website to suit their individual marketing goals. The new service may prove to be ideal for situations in which a real estate professional wishes to set up and publish a website to showcase a featured or unique listing. In addition, the service can also be utilized for creating focused marketing campaigns designed to generate qualified leads or appeal to a highly targeted audience. Real estate professionals are even given the ability to create a unique URL for their customized property websites using street address of the subject property. One of the most important benefits of the new service is that it will give agents and brokers the ability to move beyond the continual white noise they must often compete with when trying to reach buyers and sellers online. The use of a single property website would help real estate professionals to cut through the noise and market buyers and sellers in the most relevant manner possible. 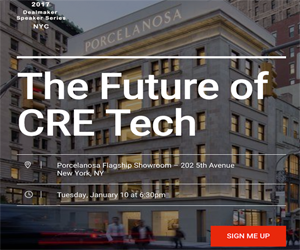 As such, adding Placester single property websites to their arsenal of marketing tools could give real estate professionals a significant competitive advantage, particularly when competing with other agents and brokers for listings. The use of increasingly available tech has proven to be a tremendous boon to agents and brokers over the last few years. This has been particularly true with the rise of more and more online search sites, such as Realtor.com and Zillow. Home sellers, in particular, want to know precisely what type of marketing strategies agents and brokers plan to use to sell their properties for the most money in the shortest amount of time. Customizable single property websites provide a highly visible way to market properties in an ever increasing global marketplace. Placester reports it currently serves more than 100,000 agents and brokers and has raised $22 million in funding.